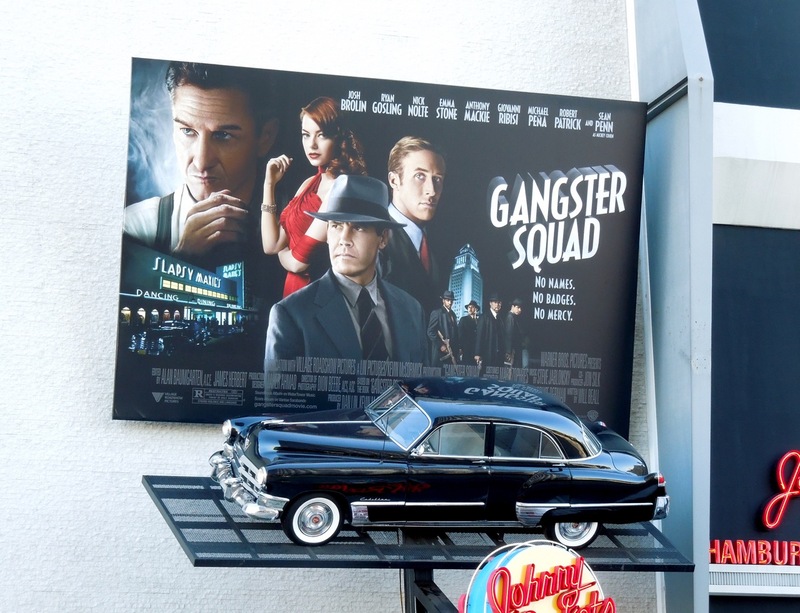 2013's forthcoming Gangster Squad movie chronicles the efforts of LAPD Detectives to keep the East Coast Mafia out of Los Angeles in the 1940's and 1950's, inspired by the book by Paul Lieberman. 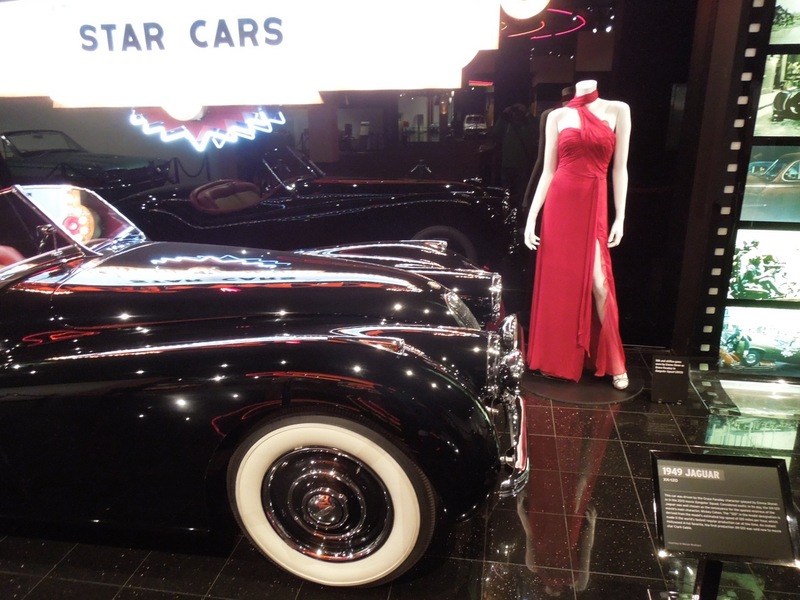 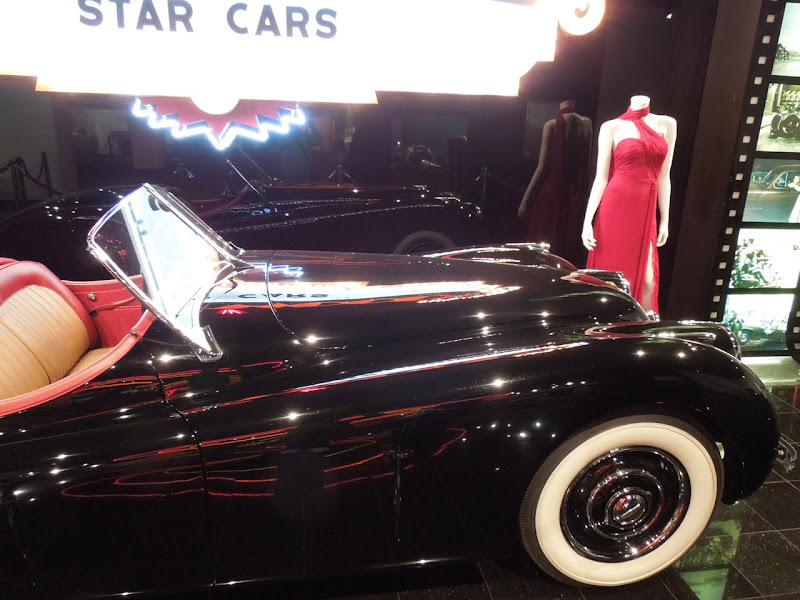 To help publicise the period crime film the Petersen Automotive Museum in L.A. currently has a fantastic exhibit featuring costumes, props and picture cars from the movie on display until January 20, 2013. 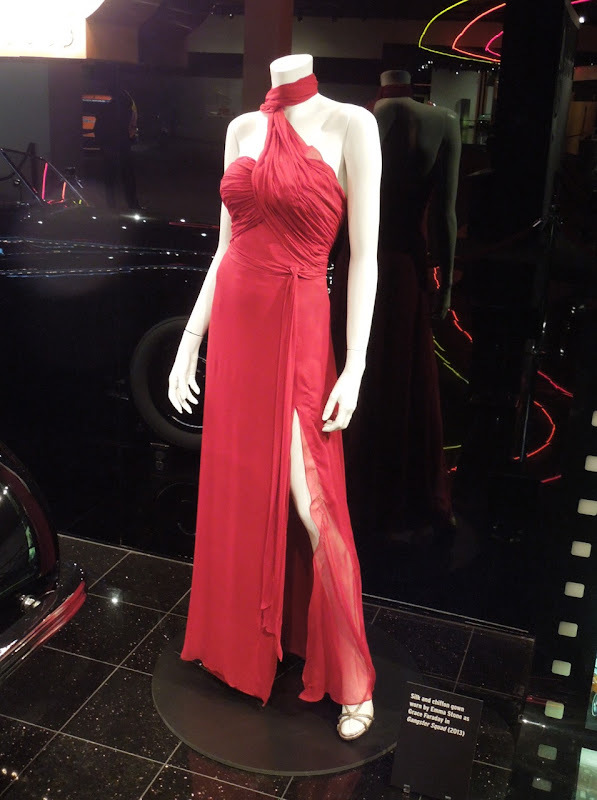 This gorgeous coral silk and chiffon gown was designed by Mary Zophres and worn by Emma Stone as 'Grace Faraday', the spoiled mistress of Sean Penn's Mafia gangster 'Mickey Cohen'. 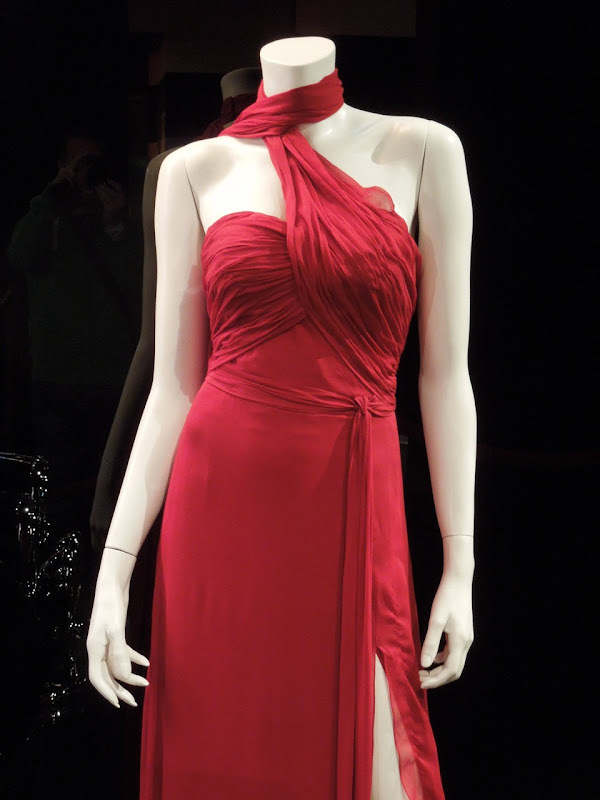 You can also see more of the Costume Designer's movie costumes in 2010's True Grit. 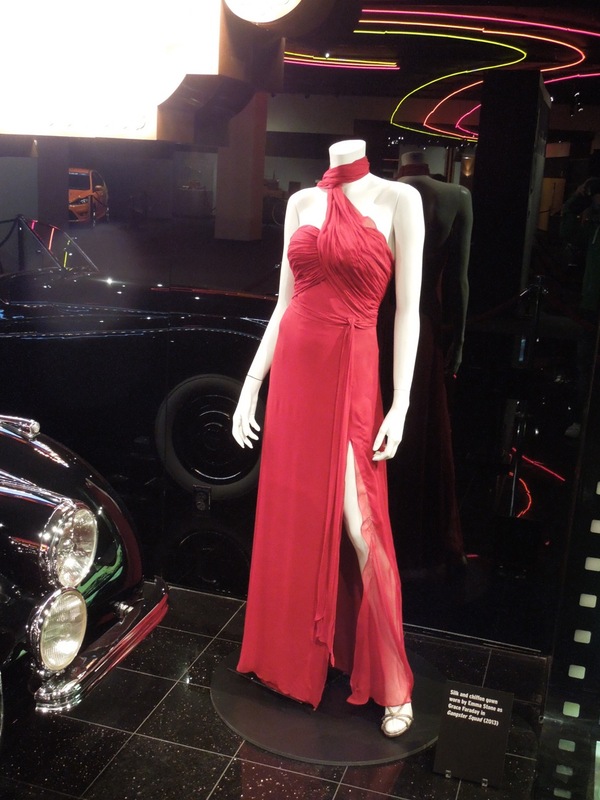 If you're a fan of the versatile actress, be sure to also check out Emma Stone's costumes from The Help. 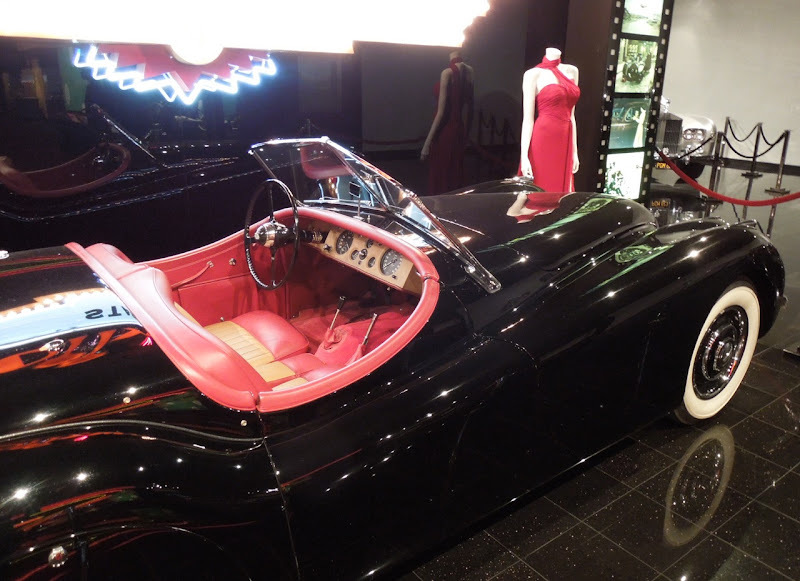 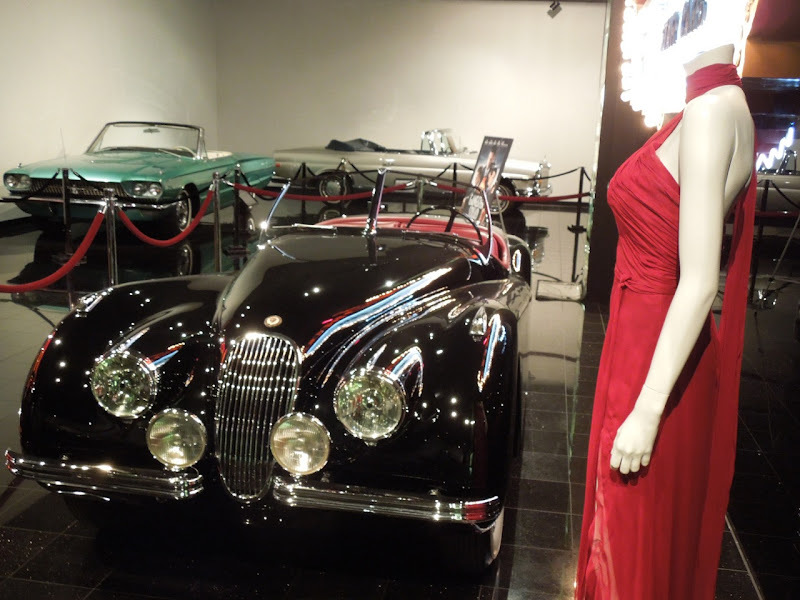 This 1949 XK-120 Jaguar was driven by Emma Stone in the movie and was considered exotic in its day, making it an instant A-List Hollywood favourite. 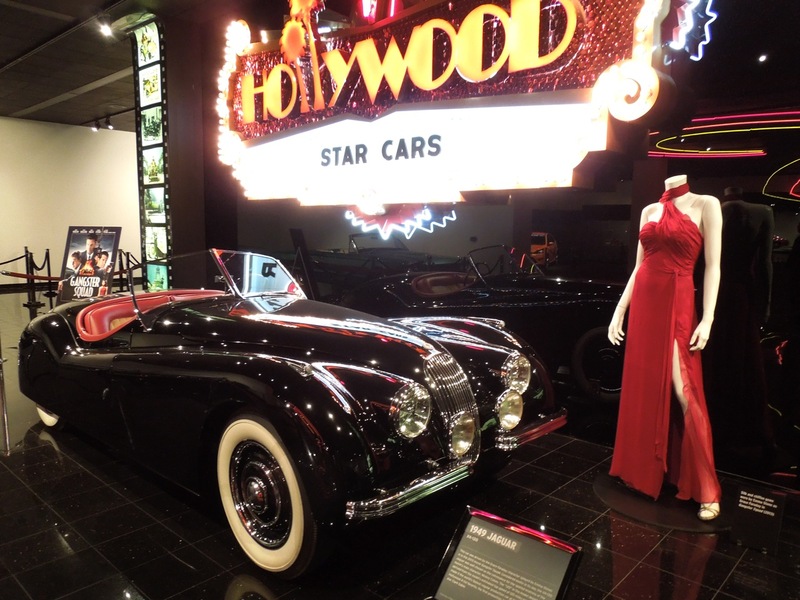 In fact the first car produced was sold to Clark Cable. 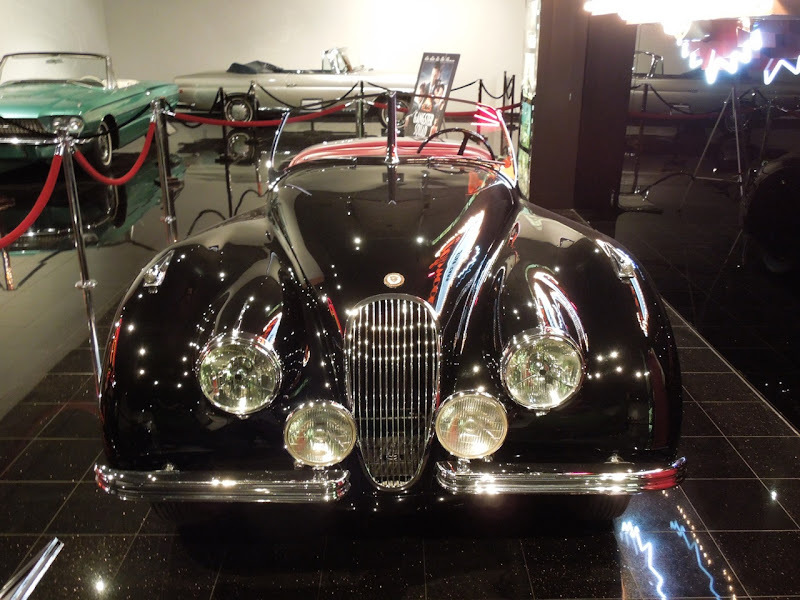 The '120' in the car's model designation refers to its top speed of 120 miles per hour, which made the Jaguar the fastest regular production car at the time. 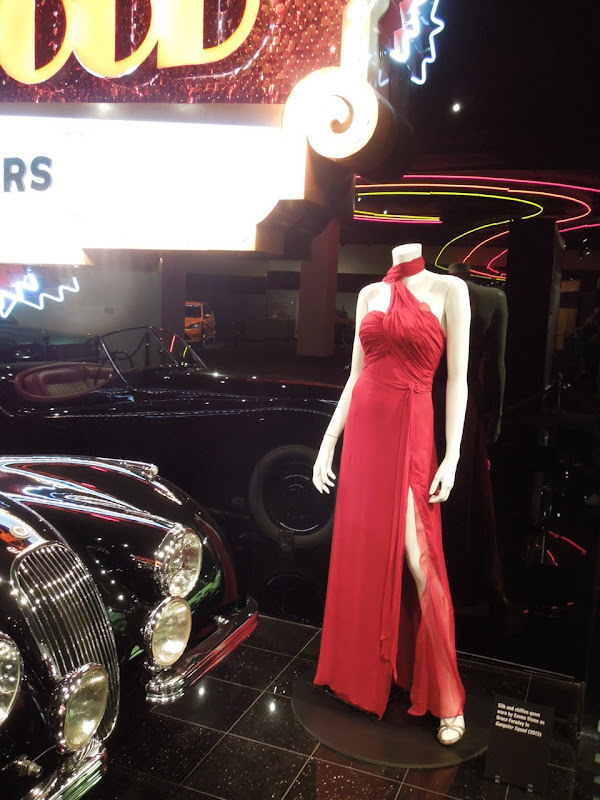 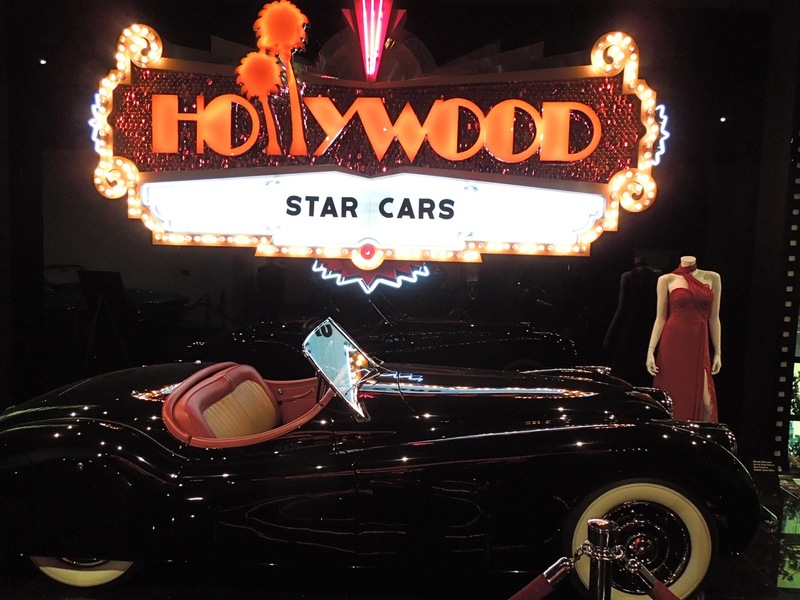 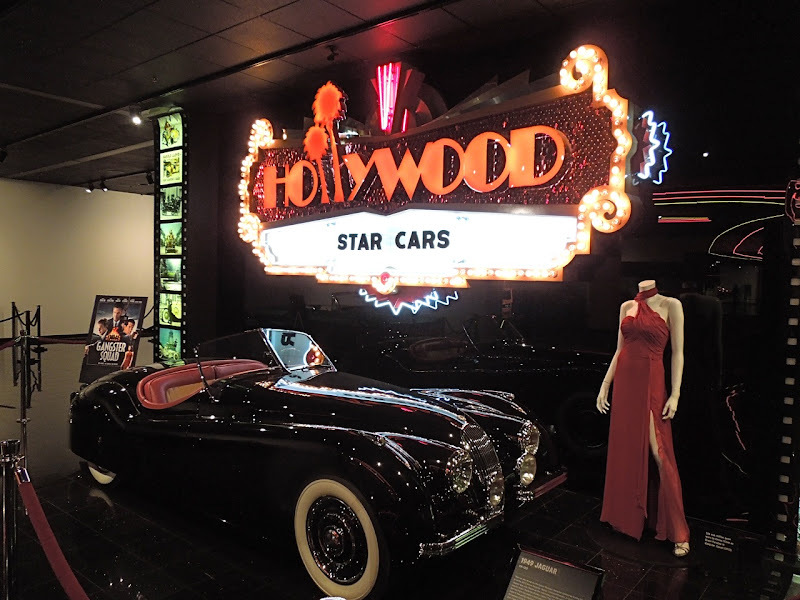 If you like this classic movie car and dress, be sure to stick around in the days to come for even more original costumes, props and cars from Gangster Squad on display. How does the dress look from the back? 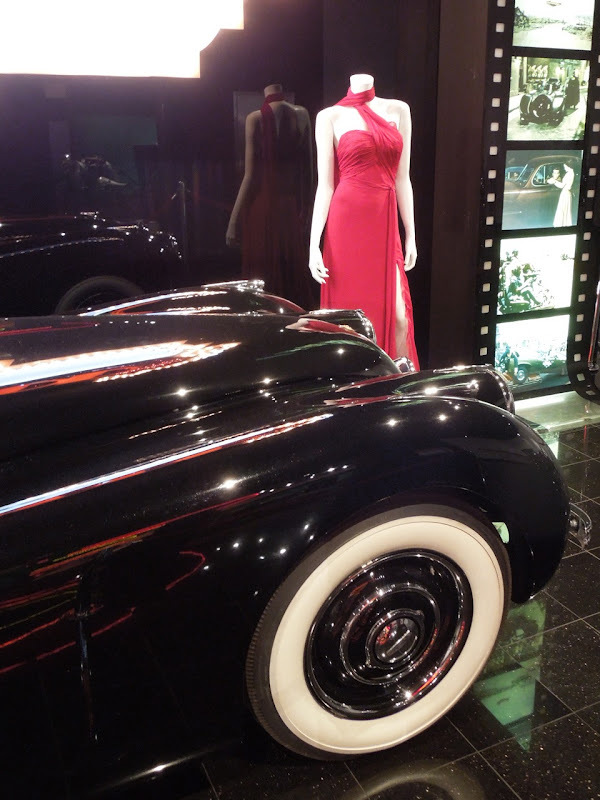 You can see the back of the dress through the reflection on the wall in several pictures.